ALMOST 3,000 women (and a few men) put their best feet forward this Sunday for the annual Cook Medical Women’s Mini Marathon. While the 10k event was won by UL graduate Michelle Finn from Leevale Athletic Club in Cork, most of the participants took part to raise money for local charities or to fulfil personal goals. The course saw runners, joggers and walkers weave around the UL campus before crossing the finishing line at the new running track. There was a fantastic buzz in and around the campus from early-morning as relatives and friends gathered to support and encourage the participants in both the 5k and 10k events. “This event over the last number of years has been absolutely brilliant. Everybody knows about Cook Medical but more importantly it’s about the ladies who are doing the marathon. 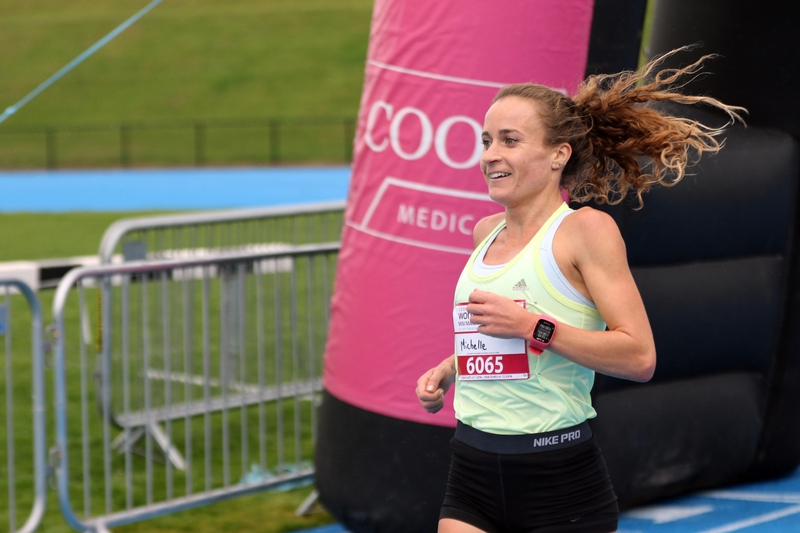 There are 3,000 ladies who are inspiring women to get out and either run, walk or jog because they can and it’s fantastic for ladies’ physical and mental wellbeing,” said Angela Moloney, director of finance at Cook Medical. The 10k race saw Michelle Finn from North Cork finish in first place with a time of 35 minutes 2 seconds, followed by Lauren Dermody in second and Carol Finn in third. “It was good, I just wanted to win, I didn’t really care about the time so I felt comfortable enough and I was really happy with that time,” said Michelle who works as a PE and Irish teacher (pictured below). Race Director John Cleary said he was delighted with the number of participants. “The mini marathon is a great opportunity for women to boost their physical and mental health, as well as providing support to very worthy local and national charities and causes,” he said.